In the case of rimless glasses, less is more. If you want to give out articulate and neat vibes, the rimless glasses are the best style for men and women. The lightweight yet durable construction is an added bonus. They also make you feel extremely light and hassle-free. They also lend a more mature and intellectual aspect to your look. Steve Jobs’ choice of round glasses is well known, but not many people are aware that these glasses were rimless. The delicate, sophisticated look of rimless glasses makes them favourite style for men. It is particularly coveted by men who want functional yet elegant eyewear. Their simple design suits a variety of face shapes. 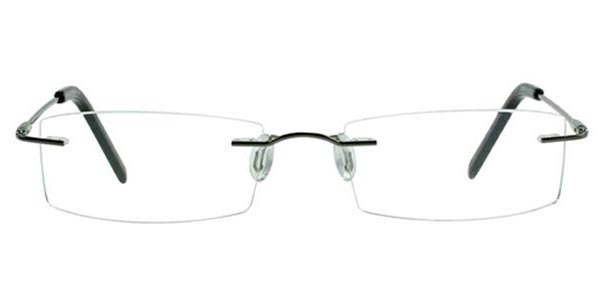 Lightweight and flexible temple arms give sleek rimless glasses a modern, sporty profile. With a more rounsdish silhouette, they offer a distinguished yet subtle look to women.